Update your mannequin with this fashionable brown wig! Complete the lifelike look with this shoulder length, mannequin wig and keep your mannequins looking their best. 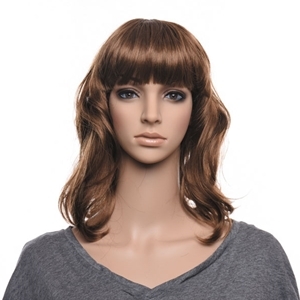 The mannequin wig is designed to fit any of our female mannequins at Firefly Store Solutions.